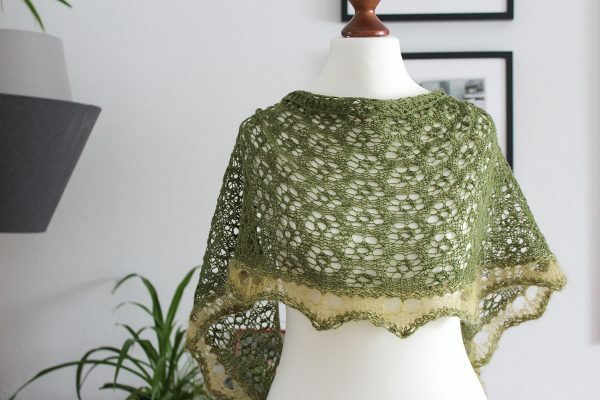 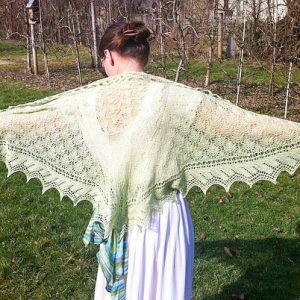 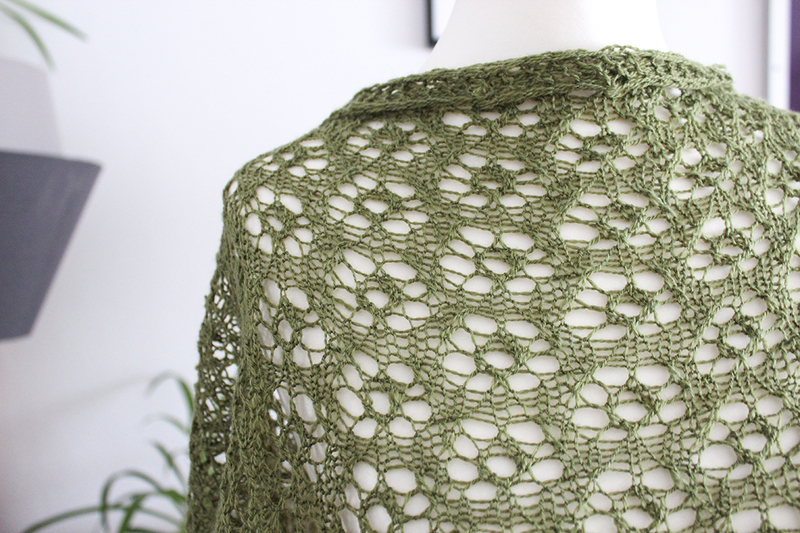 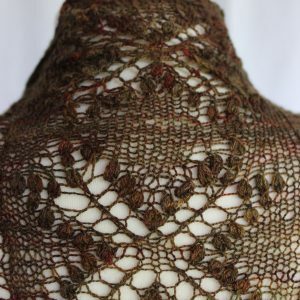 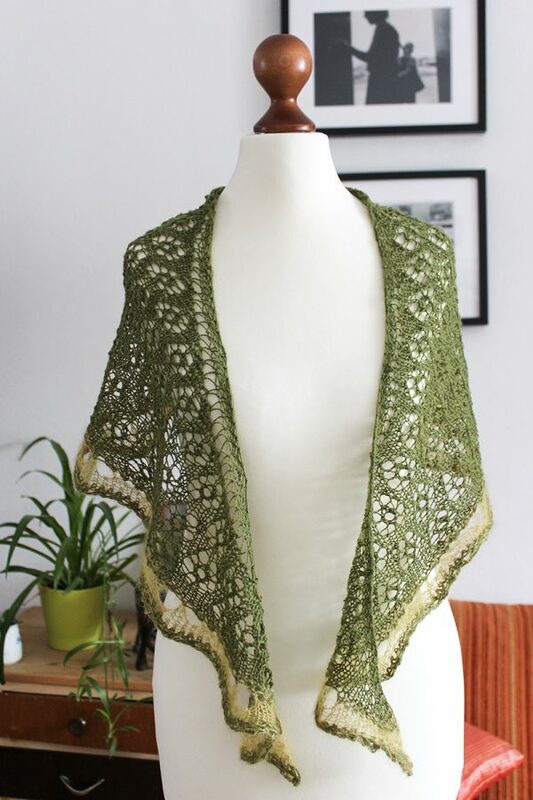 The Springtime shawl is an adjustable crescent shawl featuring an easy lace motif and a contrast yarn border. 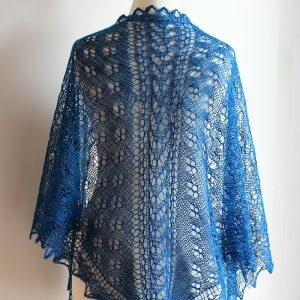 The sample shawl shown in the pictures used only part of the CC skein (Mohair in the sample shawl). 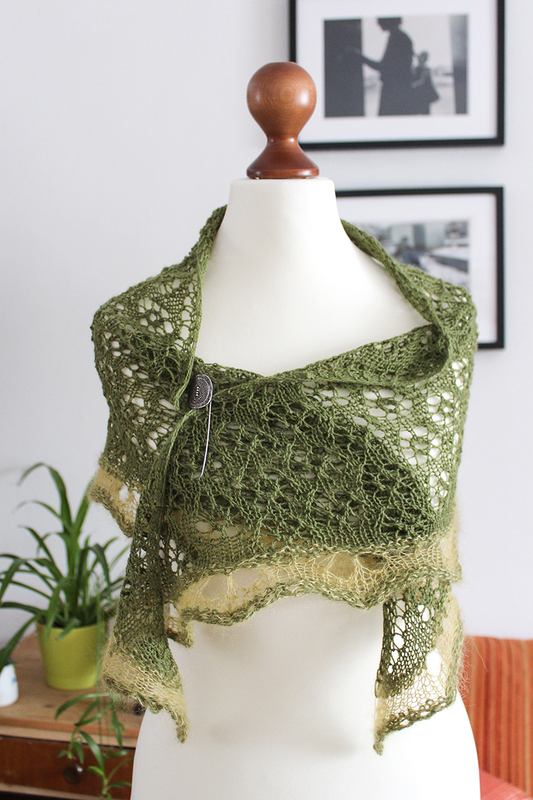 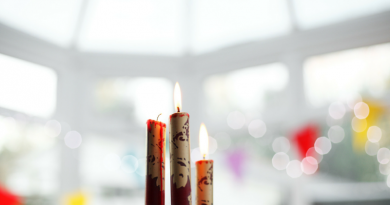 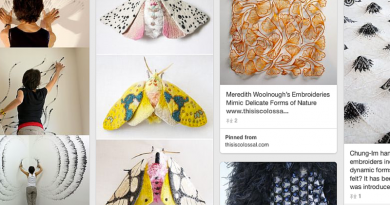 You can easily knit a second one with the leftovers. 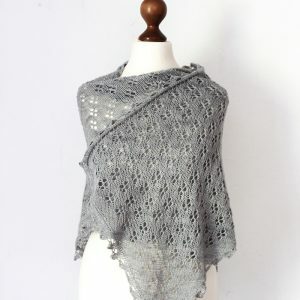 Finished size: Size is adjustable. 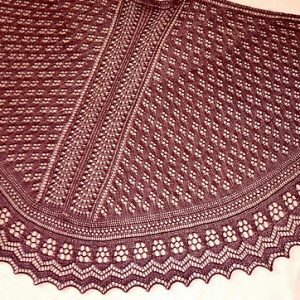 Sample shown measures 47 x 20 in (120 x 50 cm) after blocking.